You are here: Home / Extra Cash / Need Money Today? 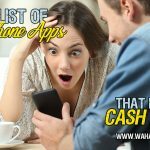 Check Out These 30 Ways to Earn Cash Now! Need Money Today? 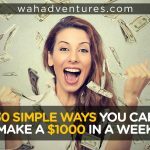 Check Out These 30 Ways to Earn Cash Now! Sometimes, life gets the best of you. You might find yourself in a financial predicament as a result of an unexpected expense or not budgeting well enough. You’re in between paychecks and still have a few days to go until you can see any more cash in your bank account. If you’re creative enough, there is a lot you can do – both online and offline – to make money. 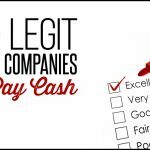 The best thing is that none of these quick cash methods will cost you any money up front, and most of them can give you money in just a few hours. These are tried and true methods, some of which I’ve done myself when I’m strapped for cash. We’ve all been there, so no reason to feel ashamed. 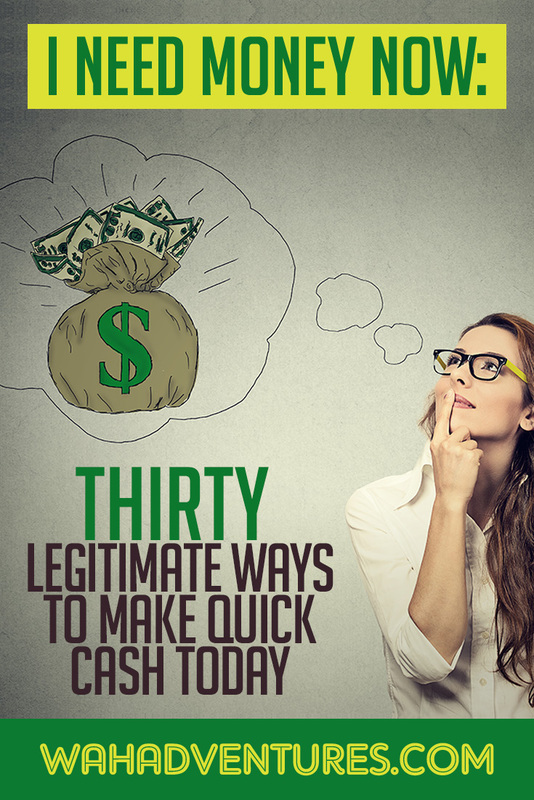 Most of these quick money-making tasks won’t make you hundreds, but they’ll at least get you the little bit you need to make it to your next payday! Vindale Research (review)/ and Ipsos (review) both pay you to give your opinions through surveys. Opinion Outpost is open to those in the United States who are at least 13 years old. Pinecone Research is open to US, UK, Canada, and Germany residents of legal age in their countries. Both survey sites will allow you to cash out with PayPal once you reach the minimum cash out amount. You’ll receive your money within 24 hours! Swagbucks (review) pays you for similar tasks, including surveys, searching the web, and watching videos. You can redeem Swagbucks for an immediate PayPal gift card. Must be 13 or older in the United States, or 16 in the UK. Treasure Trooper pays you for several tasks, like playing games, watching videos, completing cash offers, and taking surveys. Completing paid offers will earn you the most money quickly, but look for free trial offers that won’t cost you money up front. Once you have $20 in your account, you can cash out with PayPal and see your earnings within 24 hours. Must be at least 13, but can live anywhere. Check with your friends or family to see if anyone is in need of a babysitter for a few hours. Depending on where you live, rates average about $10 to $15 per hour. This, of course, can fluctuate with the age and needs of the child. You can charge a reasonable amount for your friends and family and still make a few bucks by keeping some kids entertained. Freelancers can make a side income, part time income, or full-time income nowadays. And, the term “freelancer” includes a wide variety of jobs, from writing to design to programming. Anything you can do as a service online, you may be able to make some money with by freelancing. The trick is to get your name out there so you can build a client base. A good way to start is to sign up for accounts on Upwork, Guru, People Per Hour (review), and OneSpace. Although these places take a few days to pay, you can build up a client base by getting your name on your work and asking for referrals. This process can take a bit of time to build up, so it’s a good idea to do in addition to other money-making tasks. But, once you have regular clients, you can come up with an assignment and pay schedule so you can get your money when you need it. Cashing in your full IRA may not be the best idea unless you have a financial emergency. So, I recommend this money-making method only if you really need some money and won’t have to cash in your full IRA. This method also only works if you have your IRA through a local bank you can visit in person, and it isn’t a bank holiday or day it’s closed. Remember that you’ll have to pay taxes on it, plus a penalty when you file your taxes, so use this method wisely! Fiverr is a great way to earn money fast, simply by doing things you’re good at. Browse the listings on Fiverr to find things you know how to do, like creating graphics, making short videos, or writing web content. Depending on the time it will take you and the complexity of the project, you can charge from $5 and up for your gig. Spend a few hours on gigs for people who order from you, and you can make some quick cash! Credit card cash advances can give you some quick cash, but be aware that they do come at a price. Most credit cards charge between 2% and 5% when you take out a cash advance. So, if you have a credit card that charges 5% on a cash advance and you get a $200 advance, you’ll end up paying $210 for that money. Plus, you’ll end up owing a lot of interest if you don’t pay it back quickly. This is probably best for city dwellers, but if you have a downtown area in your town or, at the very least, some very tolerant and fun neighbors, try it out. Play the guitar, get the neighborhood kids to join you in a “flash mob” dance, or sing your best vocals. Whatever special talent you have, this is your chance to use it. Uber pays you to drive people around in your car. And, people are making some good money with it! The beauty of Uber is that you can drive when you’re available, so you can even use it as a side job in the evenings or on weekends. If you’re at least 21, have a clean driving record, have car insurance, and a newish care, you can get started with Uber. Log into the app anytime you’re ready to drive to let riders know you’re available. The better your ratings from your passengers, the more opportunities you’ll have to drive and make money. If you don’t have credit cards or other options for getting money in a pinch, a payday loan may work for you. A payday loan will give you money under the agreement that you pay it back by your next payday. You’ll also owe interest on your loan, which is usually a significant amount. In fact, payday loan interest can be as high as 400% annually. If you’re not careful, they can trap you into a never-ending debt cycle that’s almost impossible to get out of. So, again, use this option as a last resort. Even a credit card cash advance will likely cost you less money than a payday loan for the same amount. 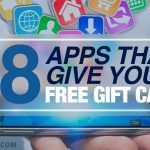 You can earn money back almost immediately from some of the most popular shopping apps. Ibotta (review) and Mobisave, for example, will reimburse you when you fulfill shopping deals through the apps by purchasing specific items. You can cash out your earnings with Ibotta when you reach $20. Mobisave has no minimum cash out amount. If you purchase several of the items in one day, it’s possible to earn that amount. Request your earnings through PayPal for the fastest payout. Qmee runs in your computer browser and sends you deals according to what you shop for. When you visit the sponsored websites and make a purchase, you’ll earn money. When you request your money with PayPal, you’ll receive it immediately. Search the Sperm Bank Directory to find a location near you that will allow you to donate your sperm. You’ll have to qualify to become a sperm donor by meeting certain health criteria, and making a commitment to a specified number of sperm donations. You can get paid between $35 and $50 per specimen. Note that, for the first donation, you’ll have to wait about six months for payment so your blood tests can be analyzed. However, once you pass the necessary screenings, you can get paid more quickly on an ongoing basis. Again, this process can take a while at first – even more so than the process for men’s sperm donation – but it pays a lot more once you become an established donor. In fact, you can make between $3000 and $6000 per donation. And, you can get paid on the date of your egg retrieval via check. You’ll have to be between 18 and 32, be able to administer injections, go through a screening process and medical appointment, and then have the procedure to extract the egg. You can learn more from The World Egg Bank. Microtask websites can take some time to make you a decent amount of money, but they are a great way to earn some fast cash. Amazon MTurk (review), Microworkers, and Short Task will all pay you quickly for doing small tasks. Your tasks will typically pay a few cents each, but they’re ones that can be done within a few seconds. For example, find e-mail addresses for website owners, find all of the Italian restaurant addresses in a specific town, or locate specific items on a receipt and type their prices. Some local businesses will pay you to participate in focus groups. Some can be lengthy, but others may take just a couple of hours of your time, and can pay you up to hundreds of dollars to provide your thoughts. You’ll be asked questions about a business’ products, services, or ideas. You can provide your opinions and any reactions you felt toward the business ideas. Some businesses will provide a meeting location, and others may ask you participate online. A good way to get some money today, if you’re lucky, while also providing some continuous income, is to rent out a room in your home. Have a guest room that’s never used? Or a finished basement that you have no use for? Make some money by renting out your space. AirBnB (review) lets you rent out your space, and those traveling through the area can use it as a hotel. If you’re lucky, you may find the perfect person who needs a room today! Roomster can provide you with a long-lasting roommate, but note that it will likely take you longer than today to find a good one. However, if you want continuous, reliable income, this is the way to go. Yes, you can donate your blood easily enough. But, if you’re really strapped for cash, you might prefer selling your blood or plasma. BioLife will let you do just that, provided that you’re healthy and have one in your area. If your screenings show you’re healthy enough, you can donate plasma up to twice a week. You’ll get paid via a prepaid VISA debit card, although the website doesn’t clearly state how much. However, it’s reported that you can usually average between $20 and $50 per donation, in general. Although you can sell your read books or used textbooks online, it’s hard to sell them fast enough to get cash today. Instead, head to your local thrift store or bookstore to see if they’ll buy them. Or, find a buyer on Craigslist or a Facebook group. Some large chain stores will also buy your books in-store. Powell’s, for example, will buy your books if they’re in good condition and if there’s a need for them at that location. You can get about 50% more for your books if you accept store credit, but the company will pay cash as well. Local Facebook groups are huge for selling nowadays, probably because it’s so easy to list items and find buyers. Craigslist works much the same way, but it can be a little more risky, as the listings don’t have as much oversight as Facebook groups do with admins. Search Facebook for selling groups in your location, either in your town or county. When you’re ready to meet up with someone to sell your items, do so in a public place with plenty of people around, for added safety. If you’re a good photographer, you can sell your photos online to a stock image website, like Shutterstock. You don’t even need to be a professional photographer, but you definitely have to understand angles, lighting, etc. They need to look professional. Shutterstock pays you a starting rate of 25 cents every time your image is downloaded. From there, you can earn raises every time you hit a lifetime earning milestone, like $5,000 or $10,000. However, it’s not guaranteed that people will begin downloading your photos right away, so you may want a backup plan. Try selling some exclusive images on Fiverr, or taking requests from people through a Fiverr gig. This will get you earning faster until your Shutterstock royalties start rolling in. There are several websites where you can sell your gift cards online, like Raise, but they can take a few days to sell and get you your money. So, the best way to do this is through your friends and family or a Facebook group. Don’t request more than 80-90% of the gift card value, or it won’t even be worth it for someone to buy. And, if posting online, make sure you cover up the gift card numbers so it can’t be stolen to use online. Many places accept clothing donations, but did you know that some will pay you for your gently used clothes? Search for second-hand thrift stores in your neighborhood and ask them if they’ll pay for your clothing. Some will. Or, locate a Plato’s Closet or Buffalo Exchange in your area. Neither one will pay you nearly as much as you spent on your clothes, but they’ll still give you some quick case. Desirable brand name clothing in excellent condition are likely to give you the most money. Read more: 10 of the Best Places to Sell Clothes Online and Get Cash Quickly! It may be time to part with your long hair! BuyAndSellHair.com is basically a marketplace for you to post an ad for your hair and find a buyer. Perhaps, someone wants to make beautiful extensions and you have the perfect hair color and length! 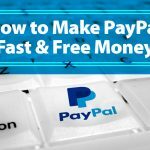 If you’re lucky enough to find a buyer on the day you post your ad, you can get paid immediately with PayPal. The website states that prices typically start at $100 and can go up into the thousands! Scribie (review) provides the fastest payments for transcribers, paying you any day you request your earnings through PayPal. You’ll transcribe small pieces of audio into text. Although it’s also one of the lowest paying transcription companies, the files are also typically the shortest and easiest to transcribe and earn quick money. Scribie’s current rates are $5 to $20 per audio hour, depending on the complexity of the file. Good old pawn shops – they may break the bank in fees, but they’ll give you some quick cash when you need it. Most pawn shops will give you the opportunity to either pawn an item or sell it. When you sell your item, you’re giving the pawn shop complete ownership. This usually results in a lowball price for your item, but you’ll get all your money that day. A pawn is more like a loan. You give an item to the pawn shop as collateral, they pay you some money based on its worth, and give you a set timeframe to come back and collect it. Once the loan is fully paid, you can get your item back, but you’ll usually have to pay a good amount in interest too. If you don’t pay, the shop will keep your item. Some can take a few days to pay you, but with Easyshift, Field Agent (review), and Gigwalk, you can see the money in your PayPal account as fast as the same day your task is approved. These 3 apps are similar, in that you’ll be doing tasks mostly for businesses and brands. You may be asked to visit a store, take a photo of an advertisement or display, and send it with your thoughts. Or, take part in a survey about something your task asks you to look for in your neighborhood. Have a bunch of dogs in your apartment building or neighborhood? Offer to walk them a couple of times a day. Even if you walk 5 dogs for $2 each, twice per day, that’s an easy $20 you’ll make for a few minutes of your time. You can even sign up on Care.com to find those in your locality in need of dog walkers! Or, sign up as a pet sitter for even more cash. ClearVoice (review) is one of the best marketplaces for writers to get matched with assignments. In addition to being super easy to use, you also have a lot of control over the assignments you accept and how much money you can make. You choose the topics you can write about and set your preferred per-word rate. ClearVoice takes care of the rest, showing your profile to clients you match with. If you complete an assignment the same day you accept it, the client can pay the same day. You’ll see the money in your PayPal account immediately. If you can come up with witty slogans, domain names, or phrases for companies, try out Picky Domains (review). If a client picks your creative, you can earn between 40% to 60% of the sale. Most sales range between $25 and $75. And, even if your creative wasn’t picked, you will still earn a small commission! Picky Domains pays your earnings through PayPal and you can expect to see them within 24 hours. Making cash quickly is absolutely possible, both online and offline. It’s all about finding things you can readily part with or tapping into your hidden talents in creative ways. Do you have a way with English? Write some blog articles for quick money. Good with the guitar? Go perform in your local downtown area. Do you create your own graphics for your website? Start selling your talents on Fiverr. And, by all means, go through the boxes of things you haven’t used in years to see what might be worth selling finally. You’ll be surprised by how much you can earn in a day, simply by having an “online yard sale” on a Facebook group. Do you have any ways you’ve made money quickly that you can add to this list? All people need money and there are so many posts with the recommendations and offers on how to earn, that most of them just duplicate each other. However, your ideas impressed me. I agree that some of them were rather provocative, like egg donation (I am sure you know that there are specific rules of donation and not each woman will be accepted), but most of them are rather interesting, despite they are not innovative. For example, selling personal clothes is a good idea. I have a lot of staff I do not wear. 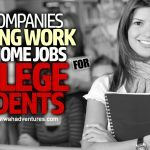 Hey Amy, These are awesome resources for work from home job opportunities to make money fast. Also, I’m in the transcription industry for more than 8 years and agree to what you have mentioned here about Scribie. This is one of my favorite transcription companies that I suggest to stay at home moms. Others include Rev, GMR Transcription, TranscribeMe, CastingWords, and Speechpad. Thanks for all these suggestions Amy. There are lots of folks who want to make money like yesterday and these are definitely great options. When I was in that situation, I completed online surveys and other projects like data entry to earn fast money. Anyone can do it, they just have to know where to look and you’ve definitely shared great ideas here. What company did you do data entry for? It was called Virtual Bee but now they’re part of the SmartCrowd group. Easy way to earn some extra money is possible with Rewardo.me app. Great prizes for free! Sell them and get easy money without investment. Visit Rewardo.me page and see how easy this is! We are a Christian organization formed to help people in need to help, such as financial assistance. So if you are going through financial difficulties or have any financial mess and you need money to start your own business or you need a loan to pay the debt or pay from your account at the beginning of a good deal, or you’re struggling to get loans from domestic banks, contact us today, email: garciajsacramento@gmail.com for the Bible says: “Luke 11:10 everyone who asks receives; he who seeks finds, and to him who knocks, the door will open. so do not miss this opportunity, because Jesus is the same yesterday today and forever more. Please it for serious and God fearing people. Hello, Garcia, what is the name of your organization? and would you help people who aren’t Christian? I meant my lights shut off. Please for give my misspelling. I was typing a little fast. I didn’t mean to type that bad word. Again, please forgive me..